Civilian casualties in Afghanistan continue to soar as the country’s security situation deteriorates, according to the latest statistics released by the UN mission. The UN Assistance Mission in Afghanistan, or UNAMA, recorded more than 8,000 civilian casualties this year from January until the end of September, placing conflict-caused deaths and injuries at near record-high levels. The numbers have trended steadily upward over the last eight years even if the latest data represents a moderate drop from last year’s peak. UNAMA attributed roughly two thirds of the casualties to anti-government forces – mainly the Taliban and self-proclaimed Islamic State groups. Civilian casualties blamed on government-aligned forces dropped by 19 percent over the same time period a year ago. However, deaths and injuries caused by airstrikes continue to rise: the mission documented 466 casualties from aerial attacks — a 52 percent increase. The US has escalated airstrikes in Afghanistan under President Donald Trump; the US military launched 751 airstrikes on Taliban and IS targets in September, in what the US Air Force called “a record high month for weapons employed in Afghanistan since 2012”. But the UN has warned that less political oversight over airstrikes, and Trump’s strategy to increase troops in the country, could usher in “a more volatile landscape” in the months ahead. 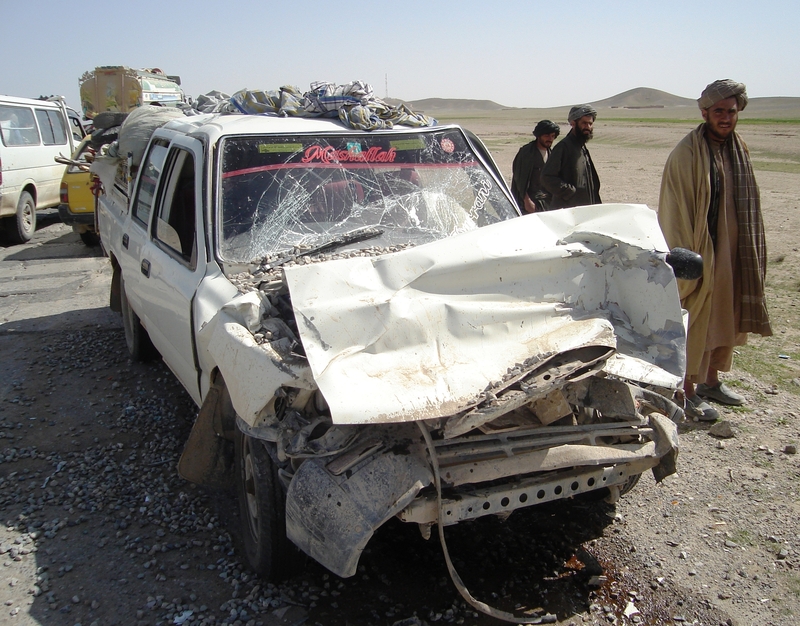 Airstrikes in late August killed at least 28 civilians in Herat and Logar provinces, according to the UN. The latest UNAMA figures also show that anti-government forces continue to deliberately target religious figures and places of worship — particularly minority Shia Muslims. Civilian casualties from such attacks have skyrocketed over the last five years. UNAMA said this amounts to “disturbing trends of intentional killings” targeting religious leaders and others seen as supporting the government. IRIN recently reported on how moderate imams preaching peace have become targets. Casualties caused by attacks against religious targets spiked in 2016; the 84 deaths recorded in the first nine months of 2017 are already nearing the mark set for the whole of last year. The enduringly high casualty numbers suggest the Afghan government may be paying a high price for its strategy to concentrate on defending areas with larger populations, while the Taliban makes gains in rural areas seen as less vital. The Afghan government’s physical control of its own territory has steadily eroded over the last two years. In a 30 July update, the Special Inspector General for Afghanistan Reconstruction, which reports to the US Congress on how American funding is spent, said that less than 60 percent of the country’s 407 districts were under government control or influence. The government had control or influence over 72 percent of its districts as recently as November 2015. Amid the simmering conflict, violence continues to displace Afghan civilians. Conflict has forced some 287,000 Afghans to flee their homes so far this year – part of a steady increase shown over the last eight years. While insecurity climbs, the national mood in the country is at a record low, according to the Asia Foundation, which conducts annual public opinion surveys in Afghanistan. Almost 70 percent of respondents said they fear for their personal safety – the highest level in a decade, according to the most recent poll. ينبغي على اللاجئين الأفغان الذين يتعرضون لضغوط من قبل باكستان للعودة إلى وطنهم غير المستقر حيث يواجهون الجوع والتشرد، أن "يصبروا"، وفقاً لمسؤول أفاد أن حكومته تعتزم أن تقدم لهم مزيداً من الدعم لاحقاً.